Slip-on available for the Arctic Cat Z1 Turbo. Hindle Exhaust Slip-on on for the 2008-2011 Arctic Cat Z1 Turbo. Please note: muffler is sold and priced separately. 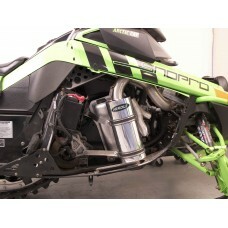 Hindle Exhaust Slip-on on for the 2012-2013 Arctic Cat Z1 Turbo. Please note: muffler is sold and priced separately.